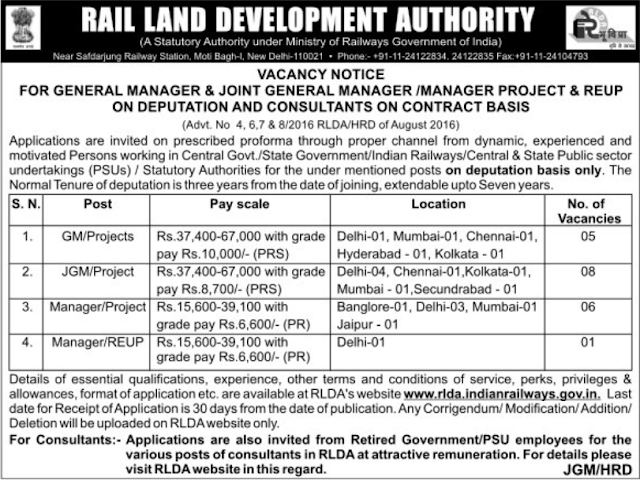 RLDA (Rail Land Development Authority) Has Released Recruitment Notification For 20 Manager Posts. All Eligible And Interested Candidates Can Apply Online On Or Before Within 30 days (Within 30 days). 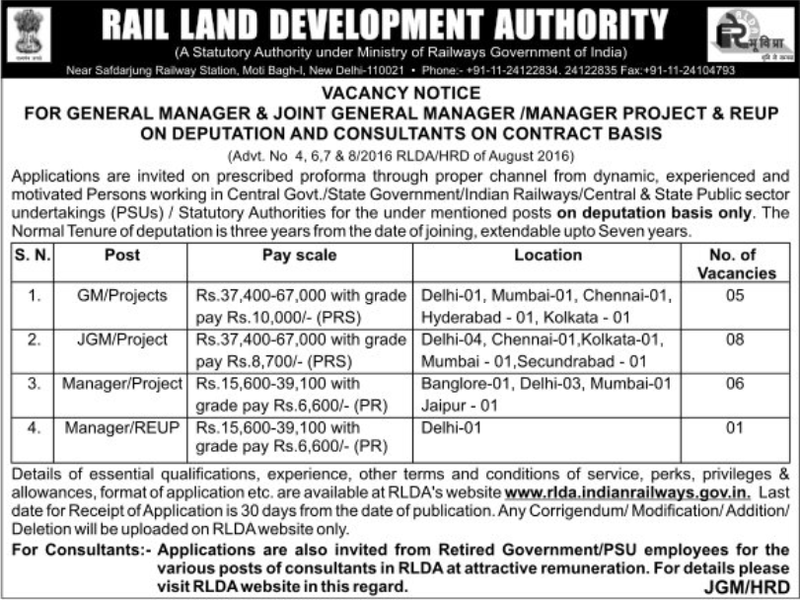 Further Detailed Information Regarding Educational Qualifications, Age Limit, Selection Procedure, Exam Pattern, Syllabus for RLDA (Rail Land Development Authority) Recruitment 2016-20 Manager post is Mentioned below. Educational Qualification -- Candidates shouldhave done Graduation Degree / Post Graduation Degree or its equivalent qualification from a university Recognized. Selection Process -- All Eligible Candidates will Be Selected Based on Their Performance In interview. Pay Scale -- Rs 37,400 -. 67,000 / - With 10,000 / 8700 / - Grade Pay (post 1.2), Rs 15,600 -. 39,100 / - With 6600 / - Grade Pay (Post 3.4). 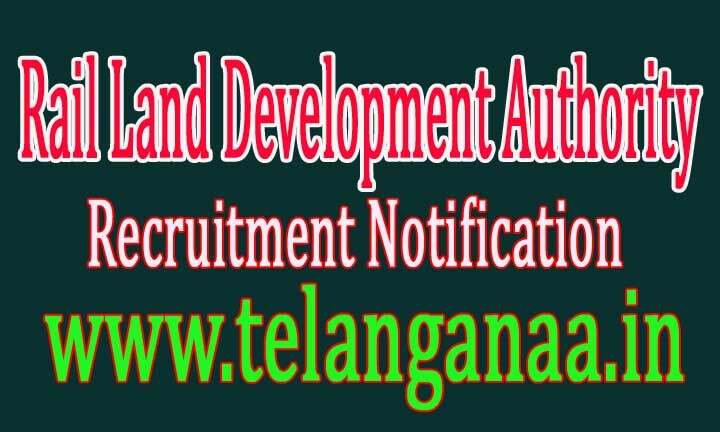 How To Apply -- All Eligible and Interested candidates must send hard copy of application alongwith relevant testimonials (Mentioned In Detailed Advertisement) to the Following Address before or on Within 30 days. End Date To Submit Hard Copy of Application Form Is:- Within 30 days.